BOND FORCE is a single-component (7th-generation), self-etching, fluoride-releasing bonding agent. It requires one application and a light curing time of 10 seconds. BOND FORCE contains Bis-GMA, HEMA, phosphoric acid monomers, and an alcohol solvent. It is supplied in a 5-ml bottle and 20 or 50, 0.1-ml unit-dose capsules. The adhesive needs to be stored at a temperature of 32° to 55° F and should not be used with self-cured composites. It is indicated for bonding of light- or dual-cured materials to cut/uncut enamel and dentin and for composite repair of fractured ceramic. 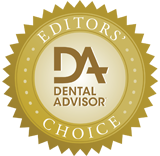 Twelve editors evaluated BOND FORCE in 186 clinical applications. This product received a 96% clinical rating. The instructions clearly describe the need to use the material within five minutes of dispensing. Requirements for rubbing the material along the demarcation line and uncut enamel for 20 seconds followed by five seconds of indirect air drying and five seconds of direct air flow are also clearly described. The editors would prefer a product that does not require refrigeration. Editors appreciated the simple packaging with a 5-ml, soft plastic bottle. The unit-dose packaging is easy to use. The unit-dose is easily converted into an upright, stand-alone container to prevent material from leaking out during the procedure. The soft plastic bottle is easy to squeeze and dispenses single drops that are relatively uniform in size. The viscosity of the material is very good. The material is easy to control as it is dispensed and thoroughly coats the tip of the brush. 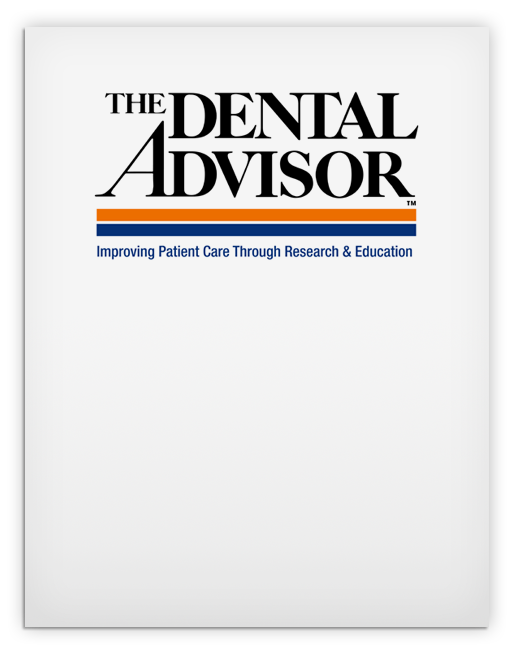 When applied to the tooth, the material coats the surface without pooling or excessively flowing out of the preparation. Editors found the upright stand-alone design of the unit dose to be unique and useful. The use of a unit-dose or bottle system is a personal choice of each clinician and the availability of both is important. The viscosity of the material allows it to be easily dispersed with air, without excessive flow out of the preparation. The highly specific technique for air dispersal is an additional step and instructions that the editors felt could be simplified. The ease of dispensing, controlled viscosity and good coverage make the material easy to apply. The editors found the required 20-second rubbing and 10-second air application times to be acceptable for a 7th-generation bonding material. No stain was reported by the editors during the two-month evaluation period. Unlike some other 7th-generation bonding systems, BOND FORCE does not adhere to the surface of the metal matrix band and therefore makes band removal very easy. While the odor of the solvent was apparent, it was not noted as objectionable by the editors or patients. No post-operative sensitivity was reported during the two-month evaluation period. Over 230 direct Class I-V composite restorations were placed using BOND FORCE. Some editors suggested a dual-cured component would allow them to expand the use of this material. 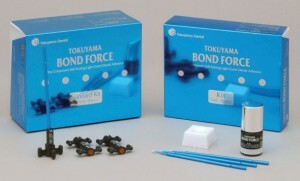 Editors’ Note: Tokuyama Dental Corp./Tokuyama America, Inc. recently modified the instructions for BOND FORCE.